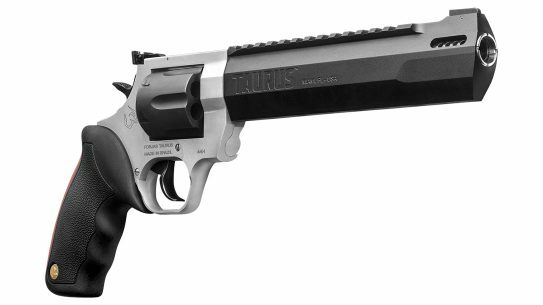 Read our top 10 list of handguns, pistols, and revolvers designed for police and law enforcement usage. 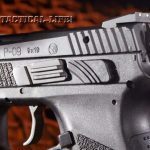 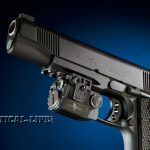 Ranging from capable undercover Glocks to micro-compact lightweight Kimbers, check out the all-time top pistols from the Guns and Weapons for Law Enforcement archive. 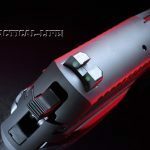 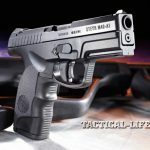 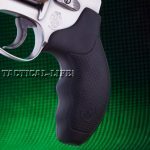 For full reviews on any of the firearms – duty guns below, visit www.tactical-life.com/subscribe/guns-weapons-for-law-enforcement/. 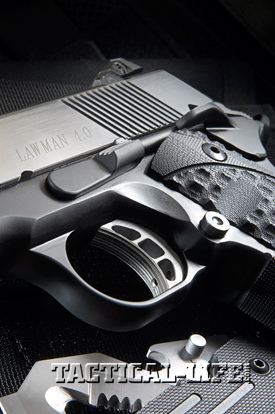 Available in either 9mm or .45 ACP, the STI Lawman was designed first and foremost as a duty and defensive pistol for law enforcement officers. 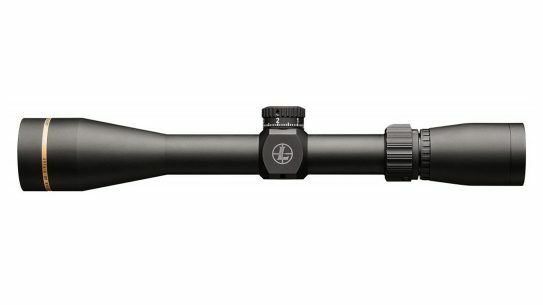 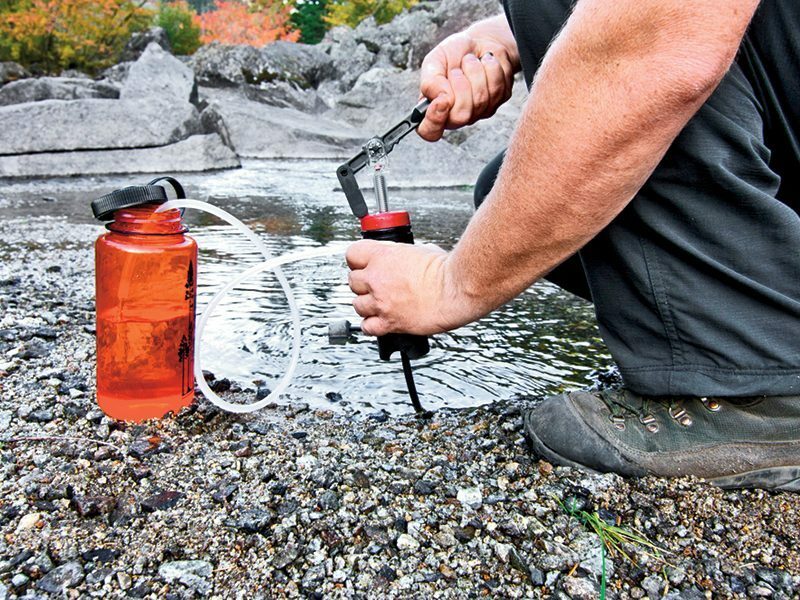 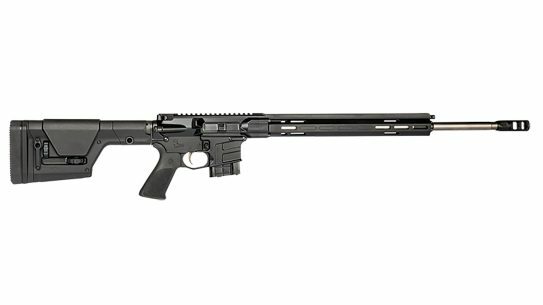 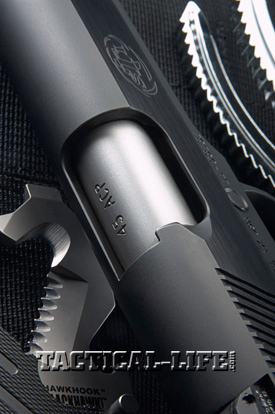 The gun utilizes STI’s patented RecoilMaster guide rod, a dual-spring assembly that lasts 10 times as long as a conventional single-spring assembly. 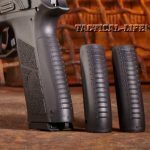 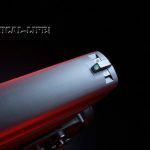 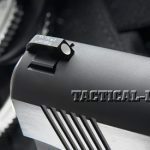 It also provides for softer recoil, a longer slide dwell time to allow magazine springs to react, a faster recovery time and less muzzle movement. 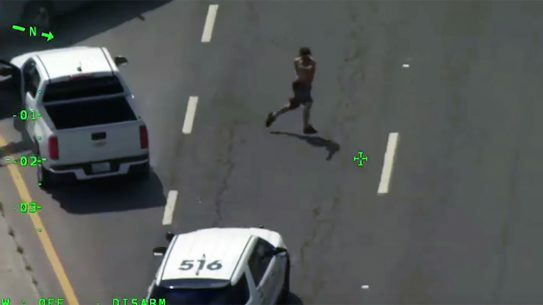 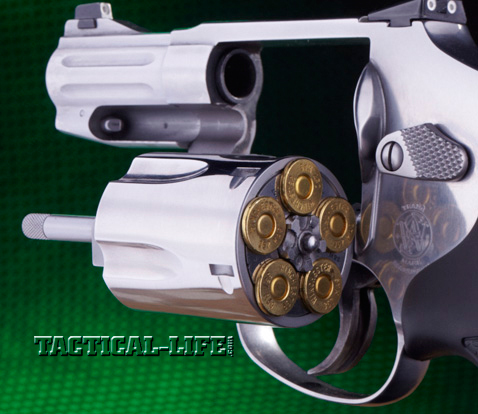 “The Lawman certainly met and exceeded my demands,” notes author Matt Berger. 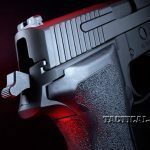 “The pistol ran reliably after a modest break-in period and hit where I pointed it time and time again.” The Lawman will make an apt choice as a duty sidearm for an LEO, or for off-duty carry among officers with a taste for firearms that are more than simply another piece of hardware. 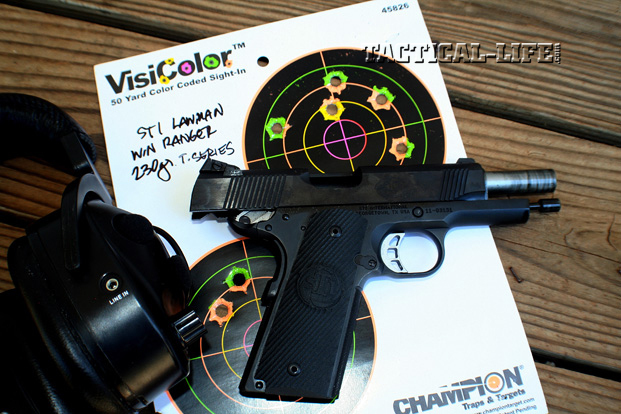 Read more on STI Lawman HERE…. 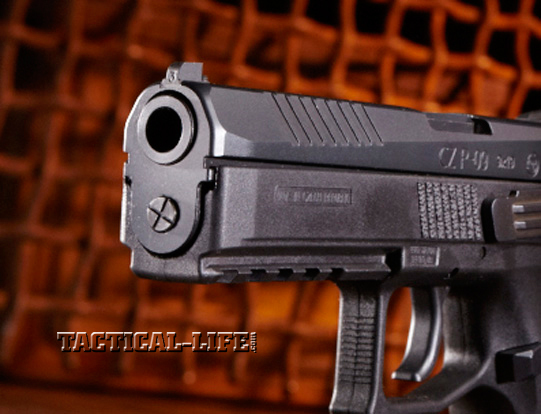 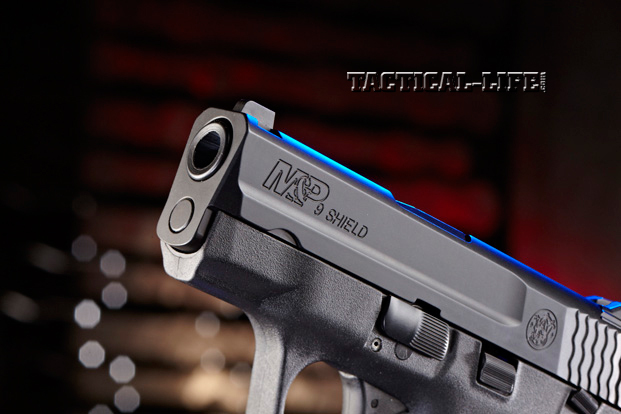 Available in both 9mm and .40 caliber, the S&W Shield is a slim and compact M&P pistol. 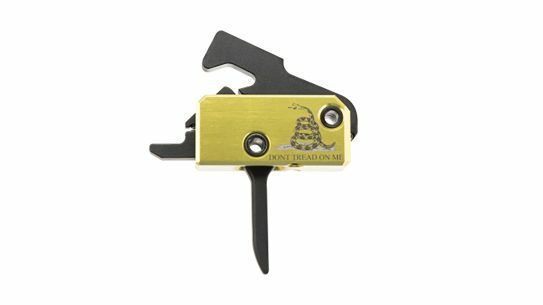 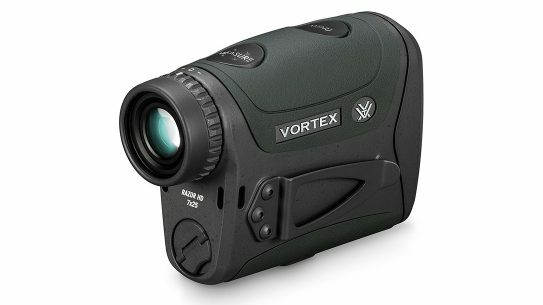 With a frame-width of 0.95 inches, it is easy to conceal and as an off-duty weapon, would be very comfortable. 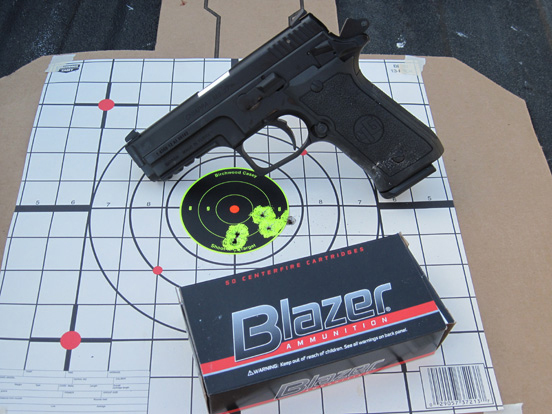 “The pistol’s accuracy was surprising,” observes author Dave Bahde. 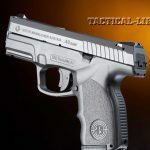 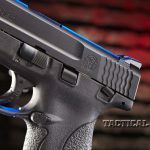 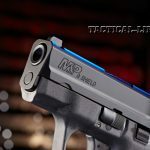 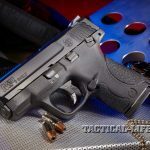 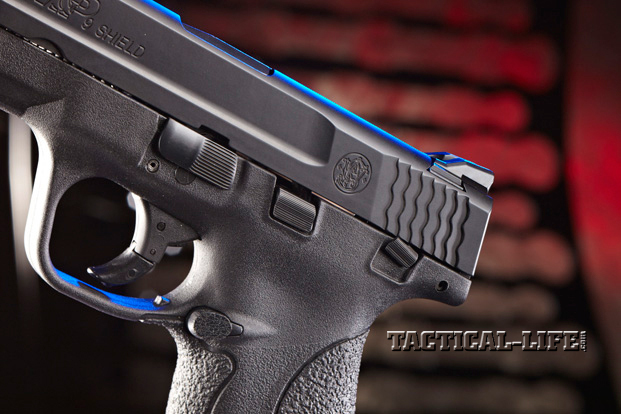 “Given its short barrel length, I tested the pistol at 15 yards, but it exhibited excellent accuracy out to 25 yards.” The industry is getting better at meeting users’ needs, and Smith & Wesson has created a huge winner with the M&P Shield. 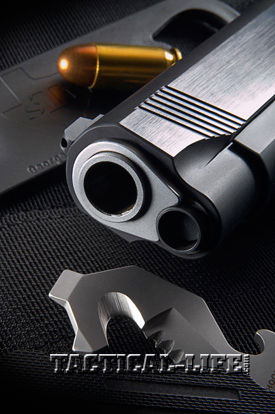 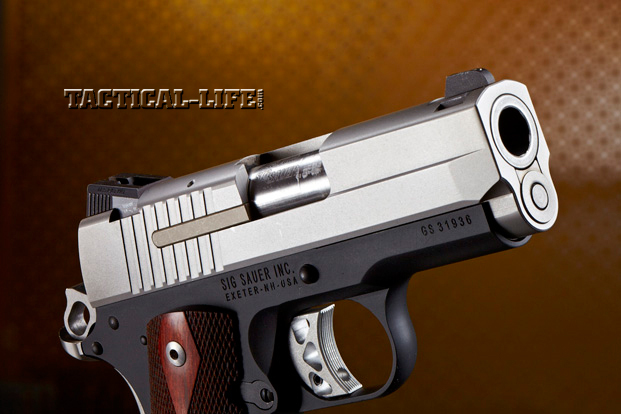 Made in America and coming with Smith & Wesson’s superb customer service, it does not get much better than this. 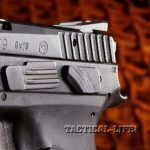 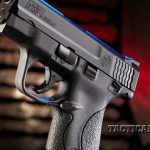 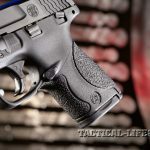 The S&W M&P Shield may replace the Chief’s Special one day to become the favorite among officers for off-duty or backup carry. 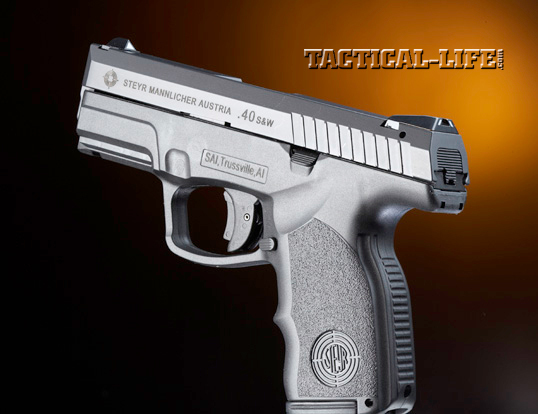 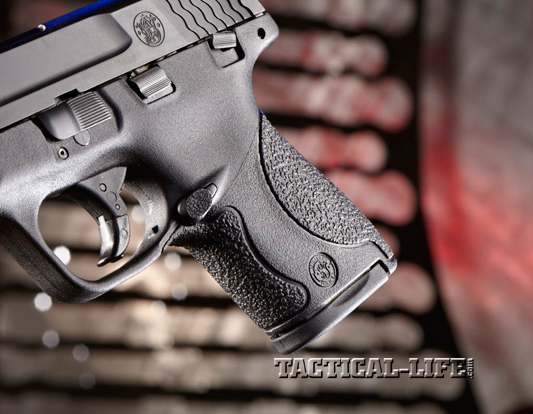 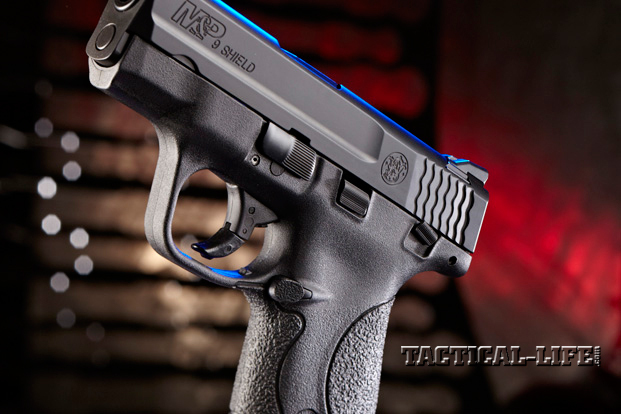 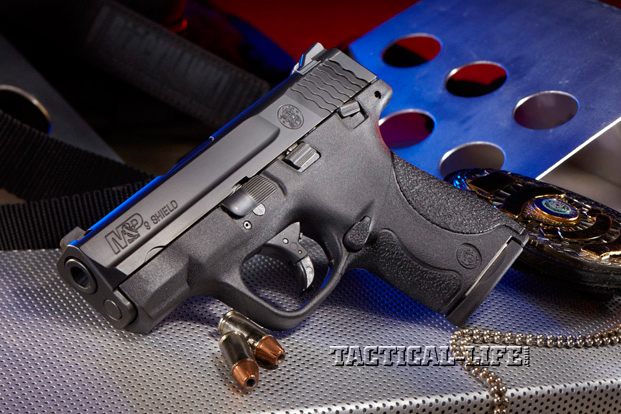 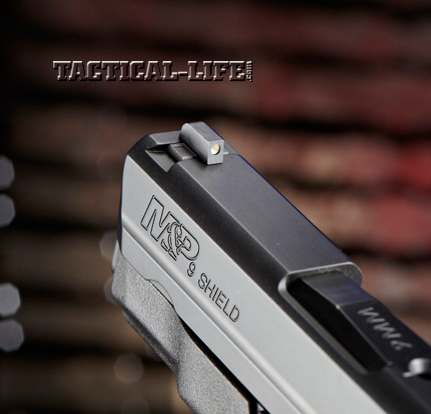 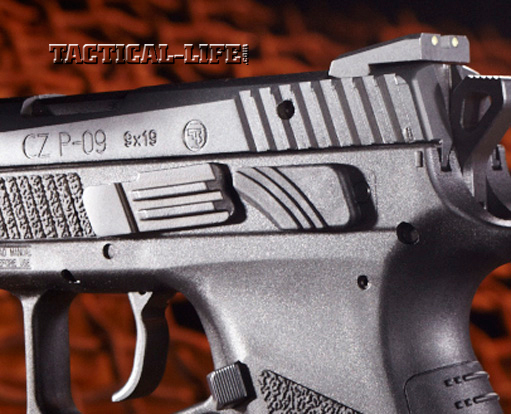 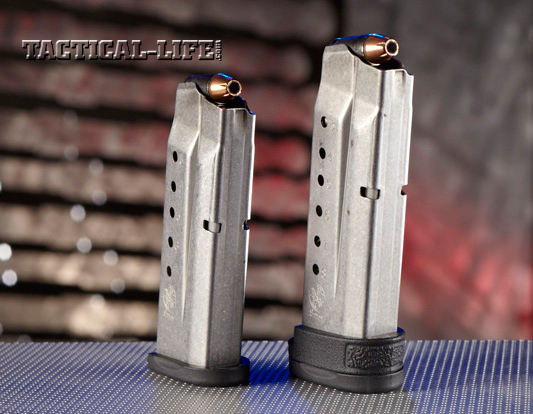 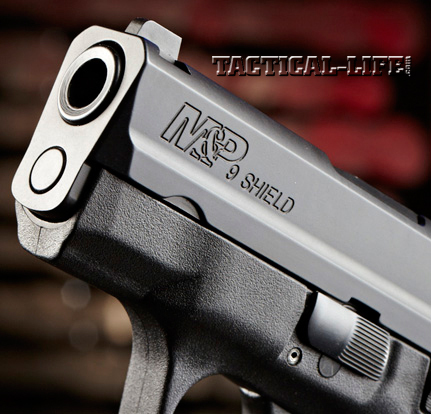 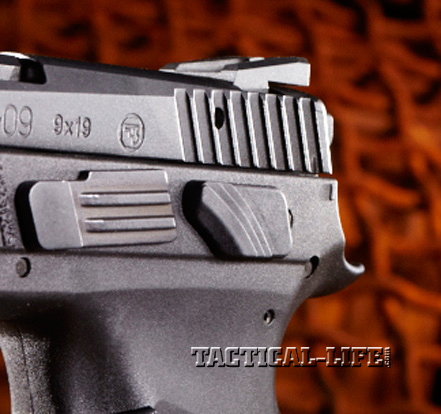 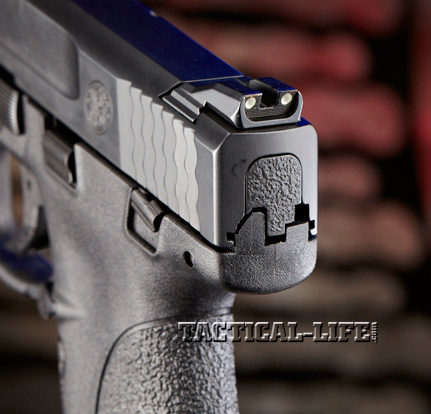 Read more on the Smith & Wesson M&P Shield HERE…. 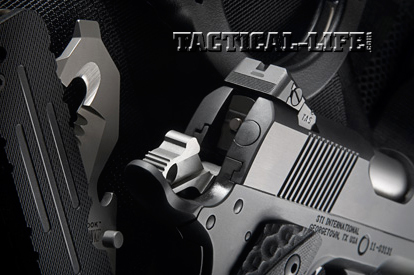 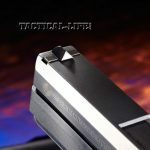 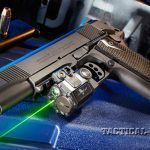 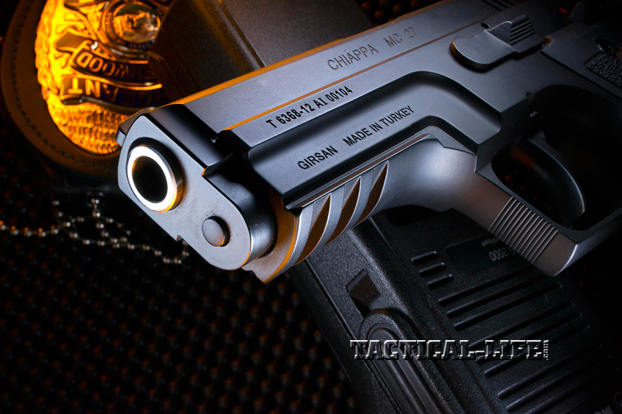 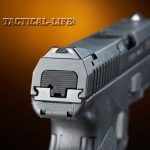 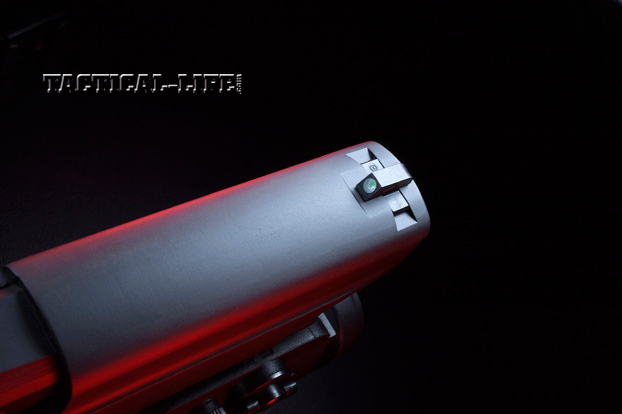 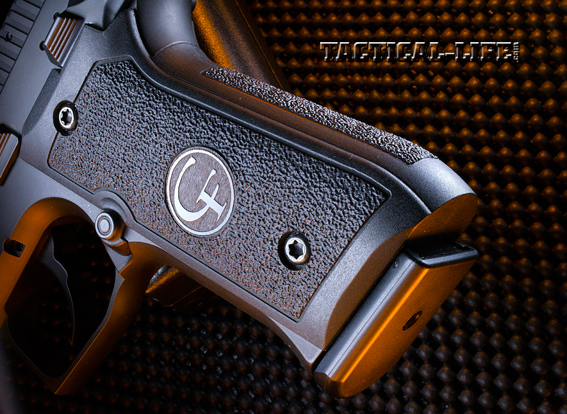 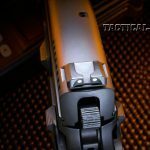 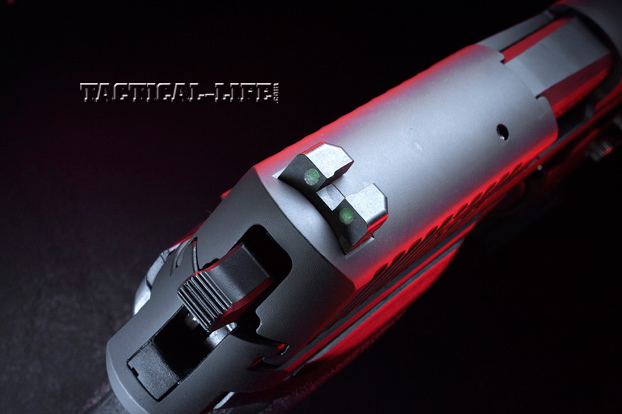 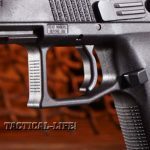 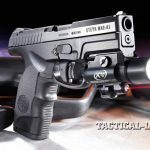 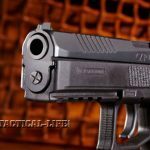 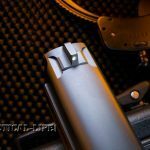 The Picatinny rail that is machined into the dust cover of the updated Colt Rail Gun offers the versatility of attaching tactical lights or laser sights, making it a tactical pistol easily adaptable to any military or law enforcement requirement. 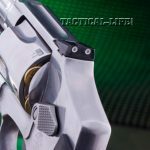 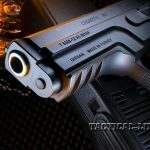 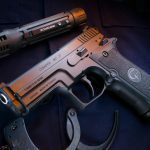 It is even equipped with a tactical-grade, ambidextrous safety lever, making it more easily adaptable to both right- and left-handed shooters. 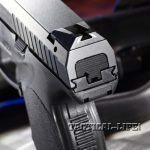 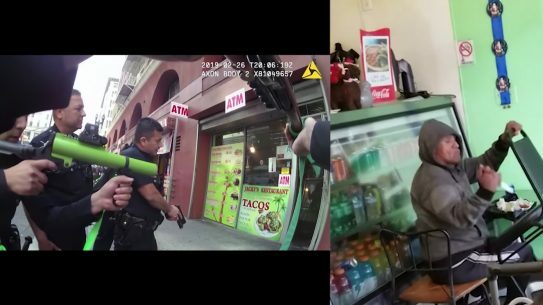 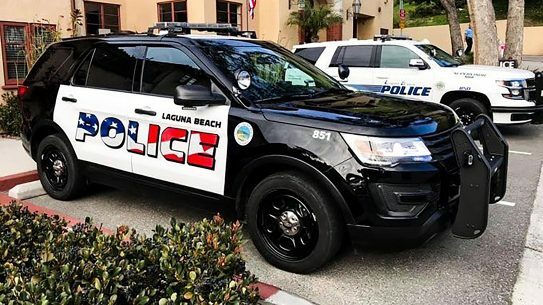 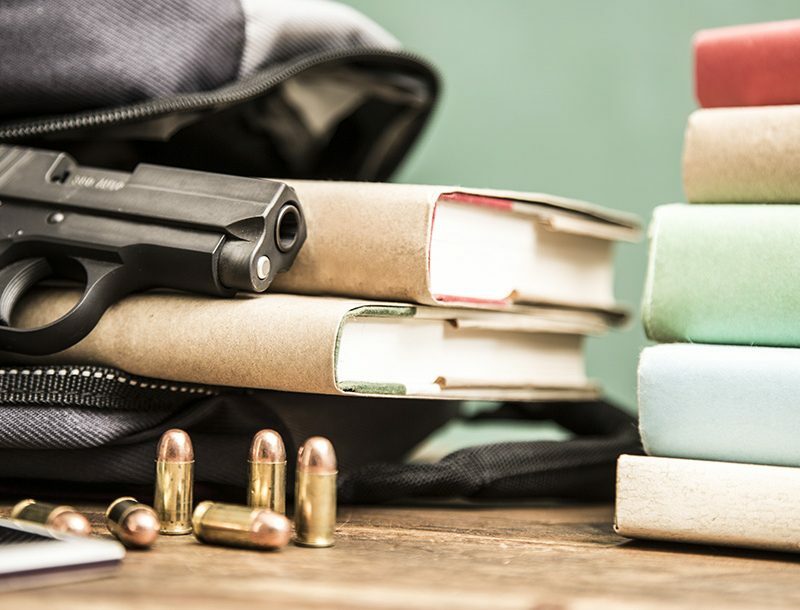 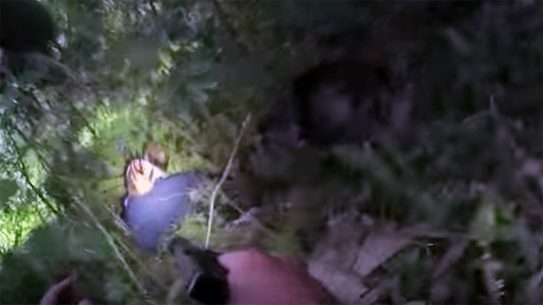 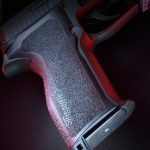 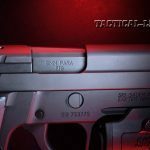 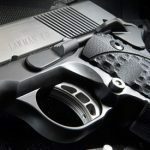 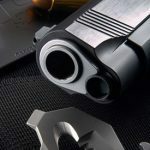 “After 500 rounds of various ball and hollow-point loads, I did not suffer a single stoppage,” wrote author Dave Spaulding, “which is actually quite encouraging considering how finicky many 1911 pistols can be.” In short, the gun ran perfectly, and in the police world that is a crucial factor. 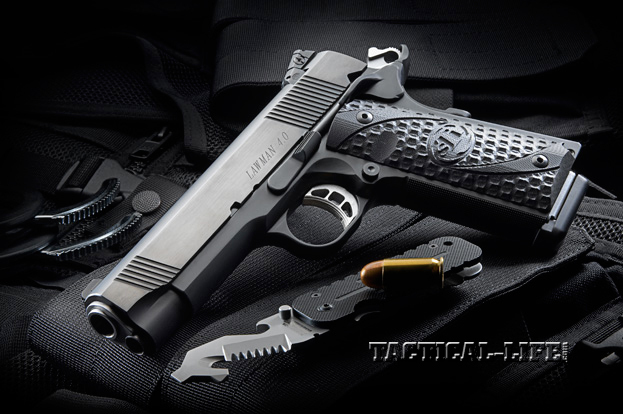 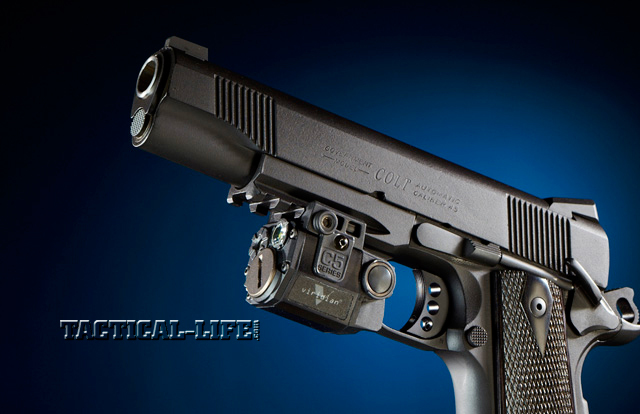 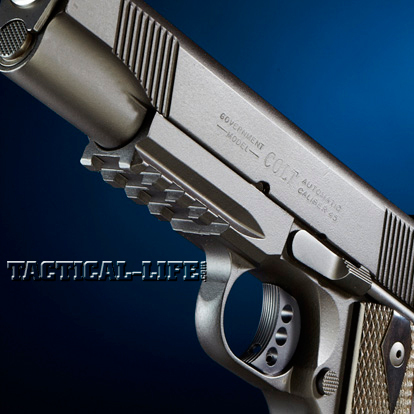 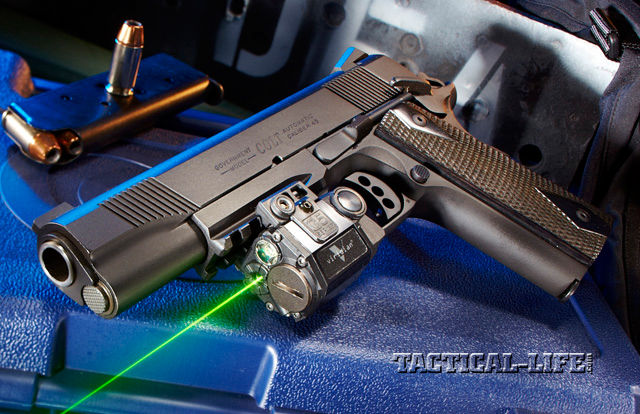 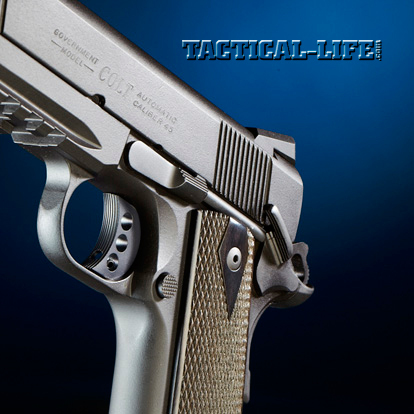 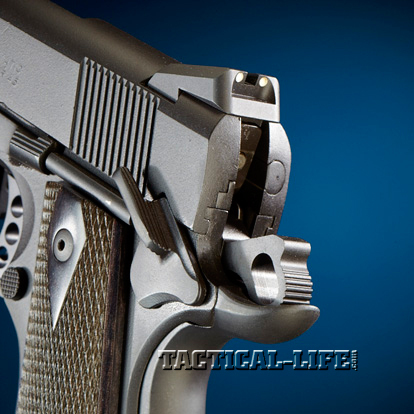 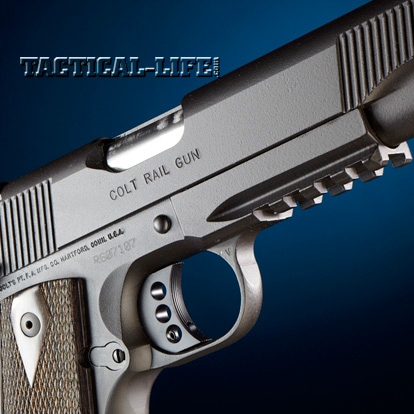 Read more on the Colt Rail Gun 1911 HERE…. 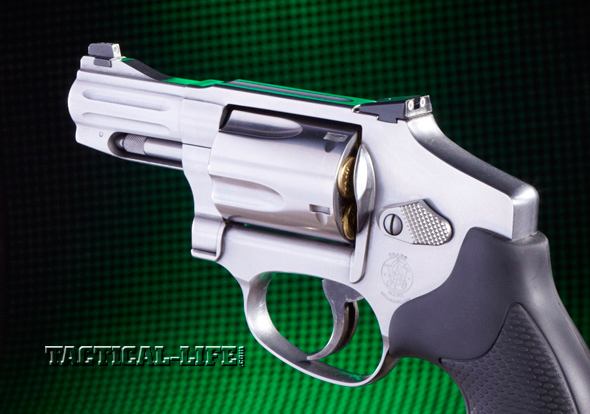 Though the Smith & Wesson 640 Pro Series is a sound choice for a backup gun simply by virtue of its being an easily concealable revolver in a major caliber, it also offers added features that enhance its capability and reliability. 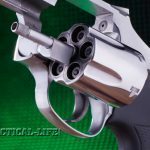 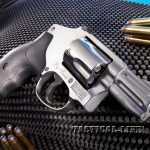 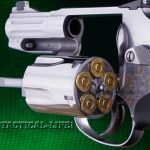 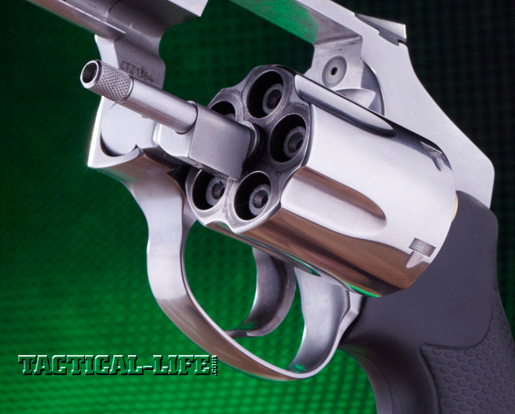 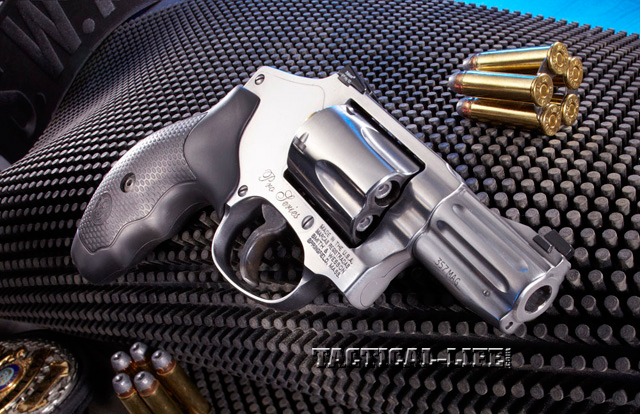 “Smith & Wesson’s characteristically smooth, predictable double-action mechanism will make the hits come with practice,” author Andy Massimilian notes, “and the 14-pound trigger weight feels much lighter when shooting.” The S&W 640 is also easy to control, even when fired one-handed with .357 Magnum rounds, thanks to its full-size grip. 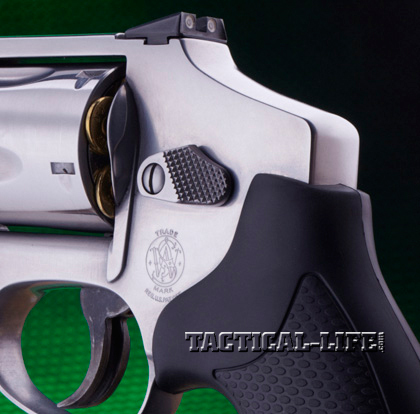 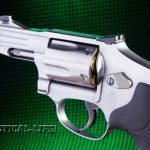 Carrying a revolver for backup has always been a sound move, and the Smith & Wesson 640 Pro Series is among the best choices available. 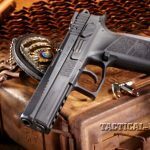 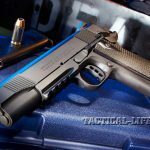 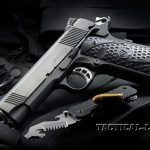 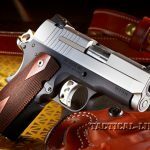 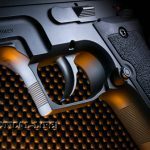 Sig Sauer’s 1911 Ultra is a balance of size and utility, with a 3.3-inch-long barrel, 7+1 capacity of .45 ACP ammunition and, all together, a weight of 28 ounces unloaded. 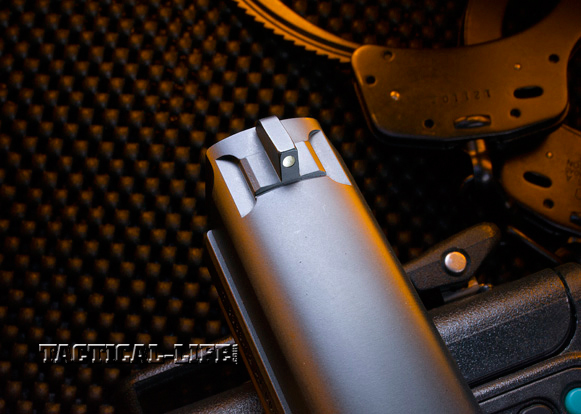 The pistol also has a full-length guide rod and a bushing-less barrel. 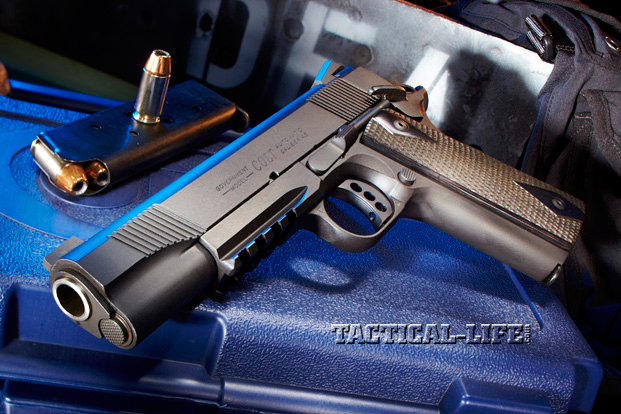 Some purists fret about both, but savvy 1911 pistol enthusiasts will tell you each of these features, when executed right, are the keys to making a compact 1911 run reliably. 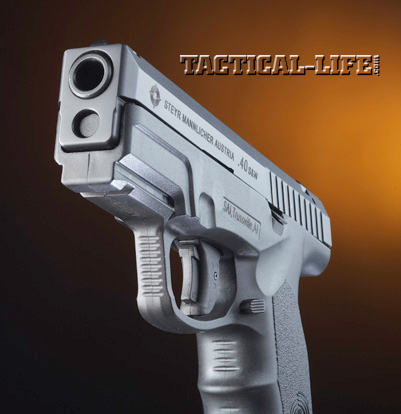 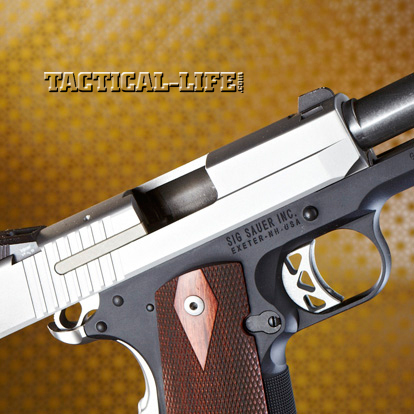 “Over a period of about three weeks, I fired 250 rounds through the Sig Sauer 1911 Ultra,” wrote author Richard Mann. 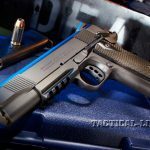 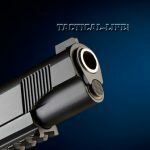 “The pistol did not malfunction a single time.” If a super-compact 1911 in .45 ACP would be the ideal backup gun for your primary duty gun, you should give the Sig Sauer Ultra 1911 a serious look. 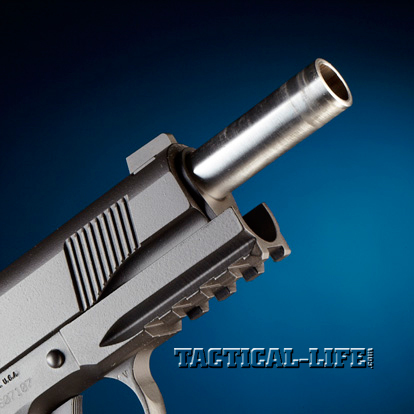 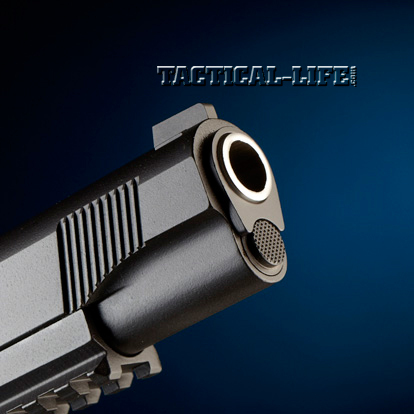 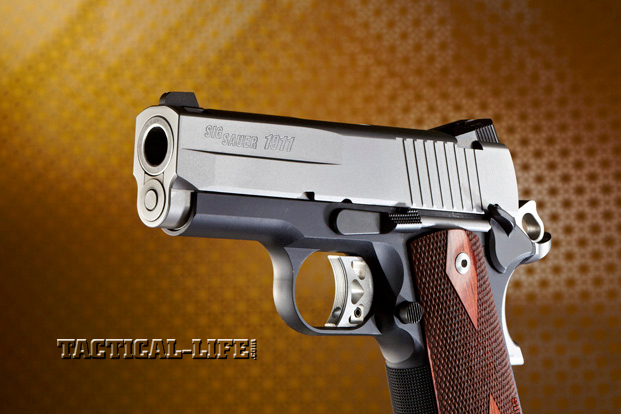 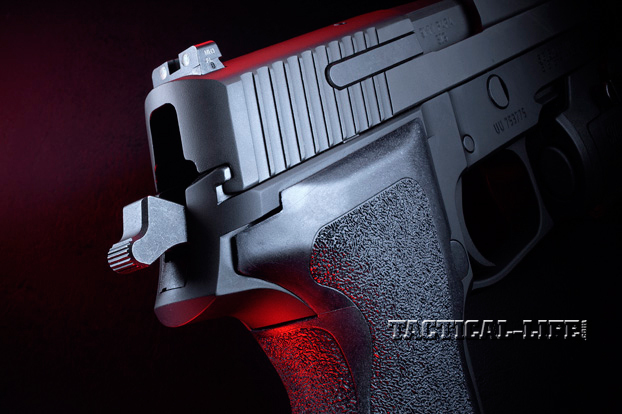 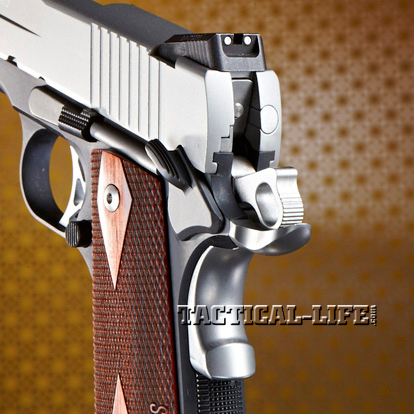 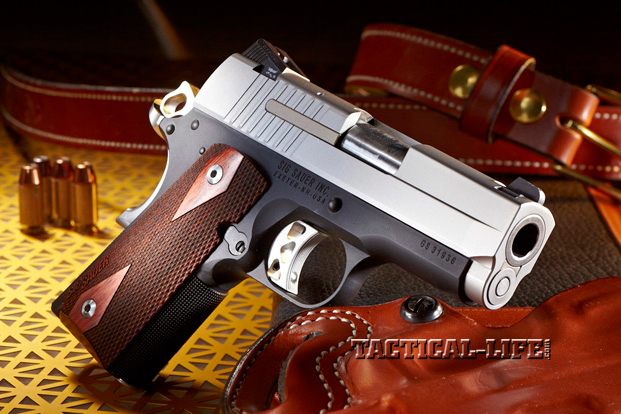 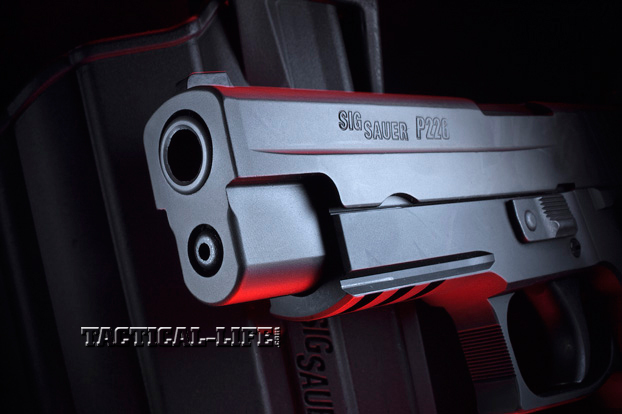 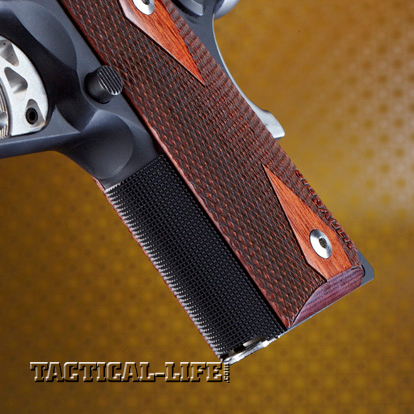 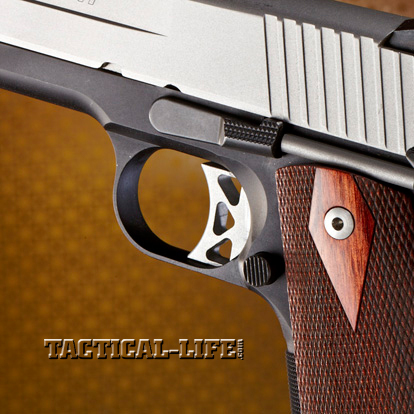 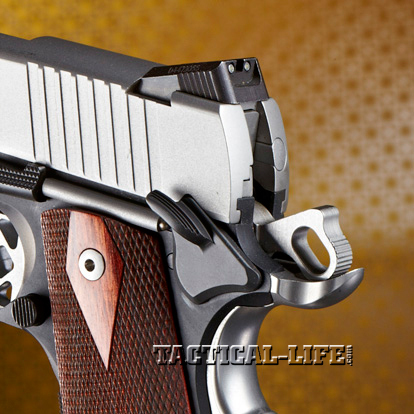 Read more on the Sig Sauer 1911 Ultra .45 ACP HERE…. 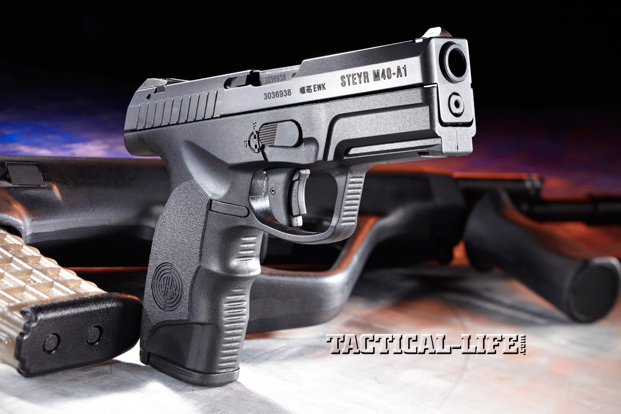 The M-A1 series of pistols continues a century-long tradition of fine handgun manufacturing for Steyr. 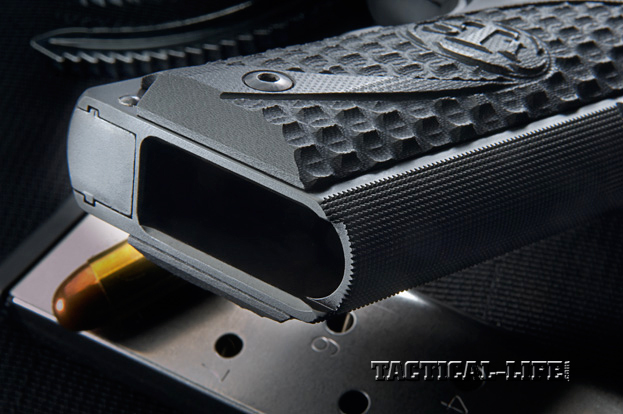 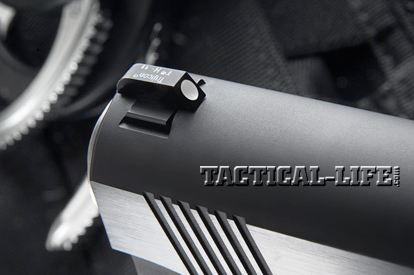 Under the 4-inch barrel on the dust cover of the frame is an integrated strip of Picatinny rail, ideal for lights and laser units. 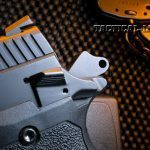 The radical yet intuitive ergonomics of the pistol feature a raked forward grip angle with a very low bore axis for lower perceived recoil. 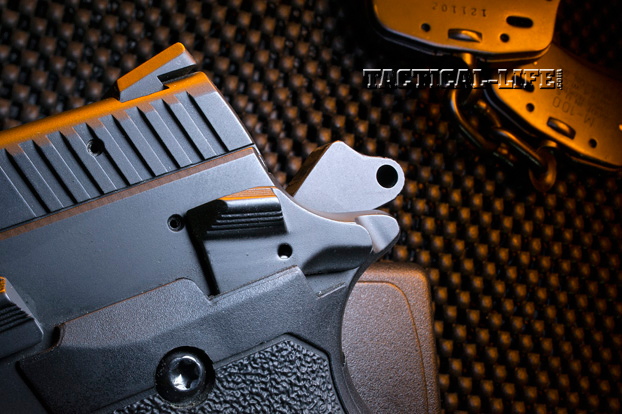 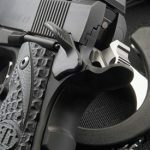 The pistol also features a key-operated access lock above the trigger on the right side of the frame that can lock the action and prevent firing. 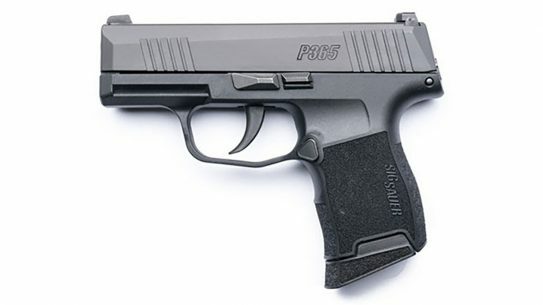 Also of note is the fact the pistol does not have a magazine safety, meaning the pistol can be fired with the magazine removed. 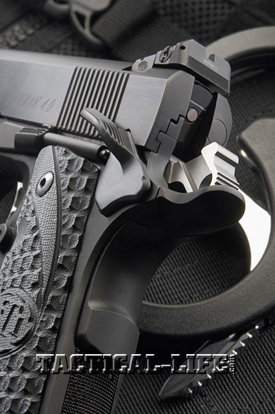 For the LE officer looking for an outstanding sidearm, the M-A1 series of pistols should definitely fit the bill. 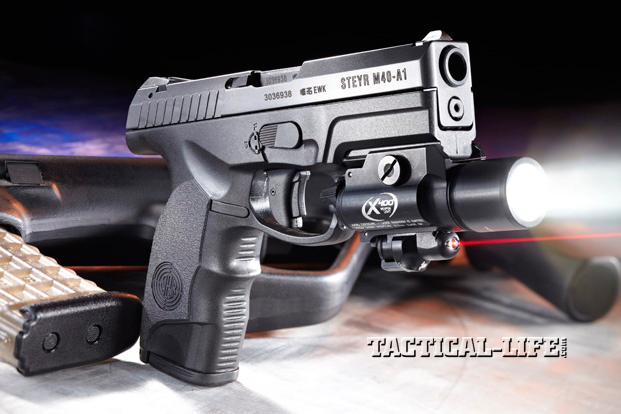 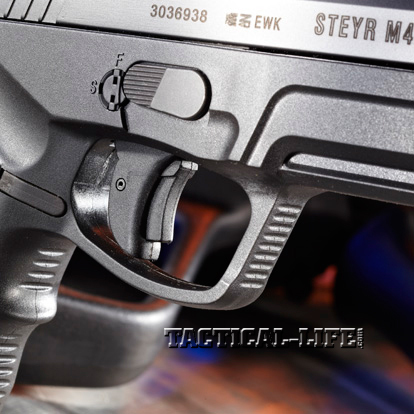 Read more on the Steyr M40-A1 HERE…. 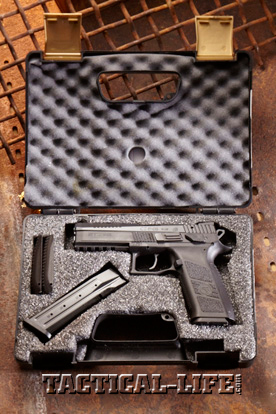 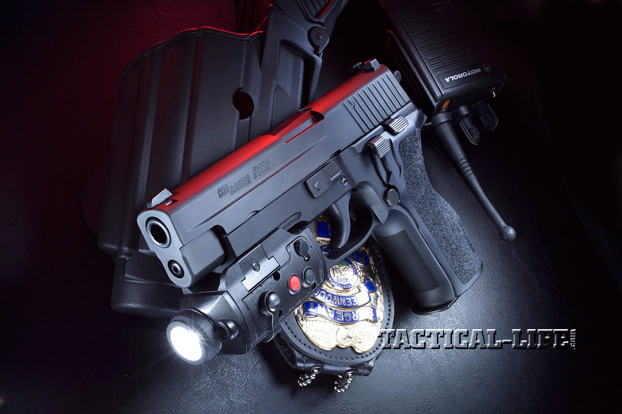 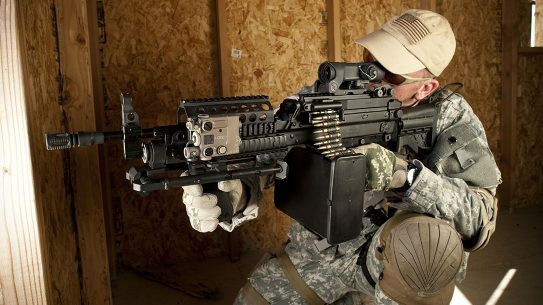 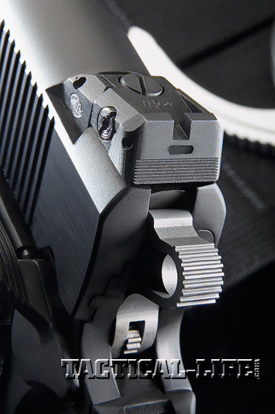 The P226 TacPac system contains the best of all worlds—in one convenient package. 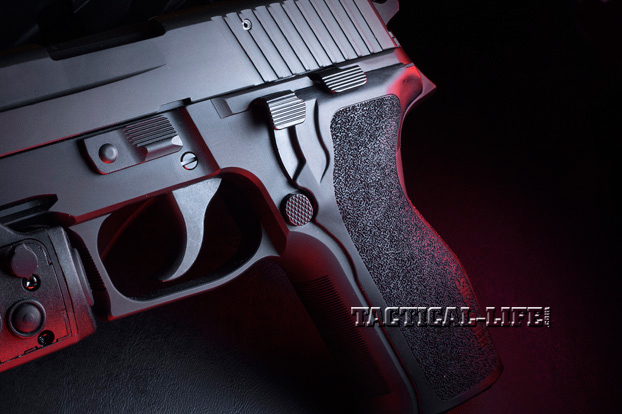 The exceptional ergonomics and balance of the P226 make this full-sized pistol easier to handle than many of its contemporaries. 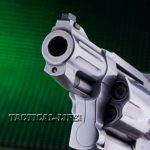 Since it is also designed to chamber hard-hitting .357 SIG and .40 S&W rounds, the gun’s size (7.7 inches in length) and weight (34 ounces unloaded) contribute to reduced felt recoil with 9mm ammunition. 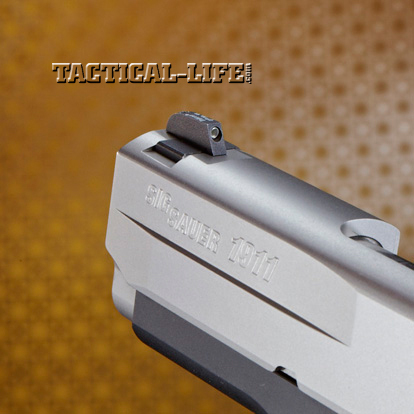 The pistol’s longer 4.4-inch barrel also factors in for improved ballistic performance and better accuracy. 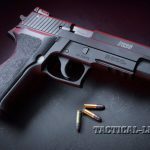 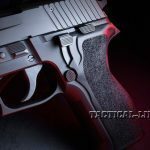 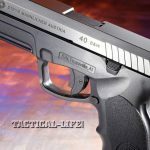 “The P226 is a very easy pistol to fire, and it balances so well in the hand that it feels smaller and lighter than it actually is,” wrote author Dennis Adler. 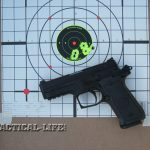 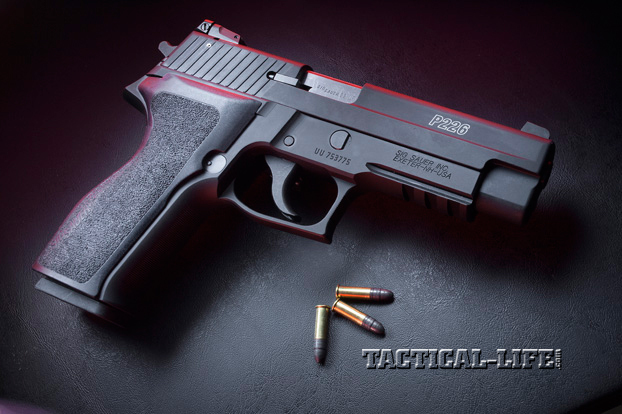 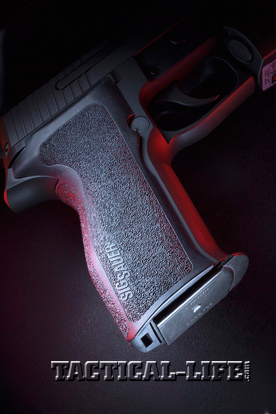 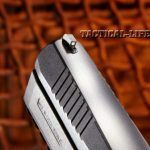 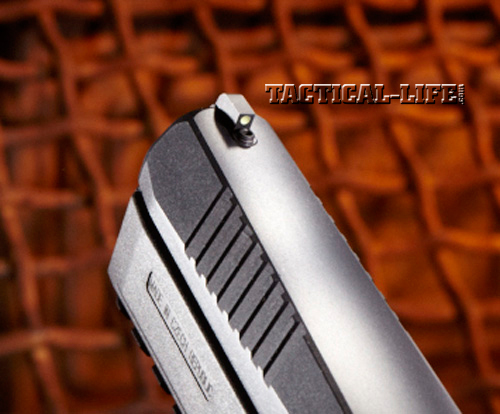 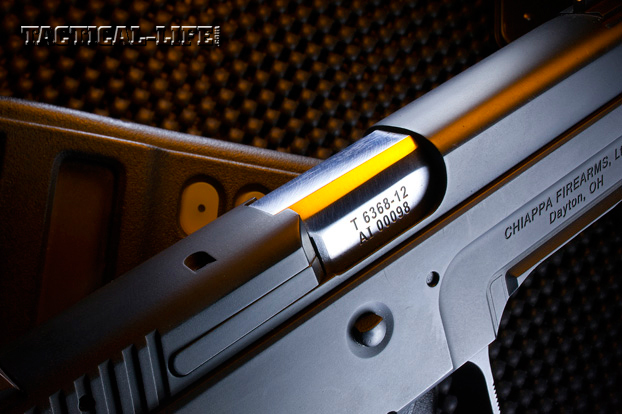 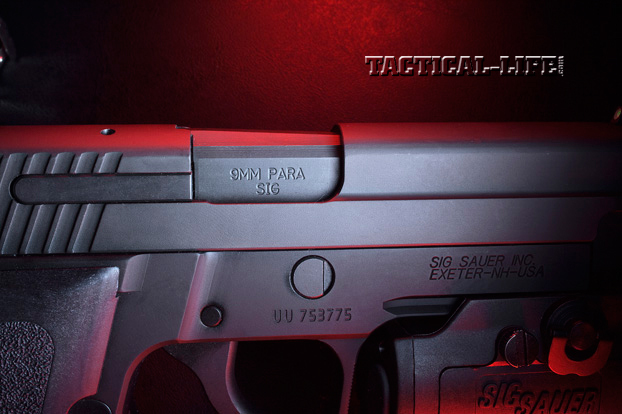 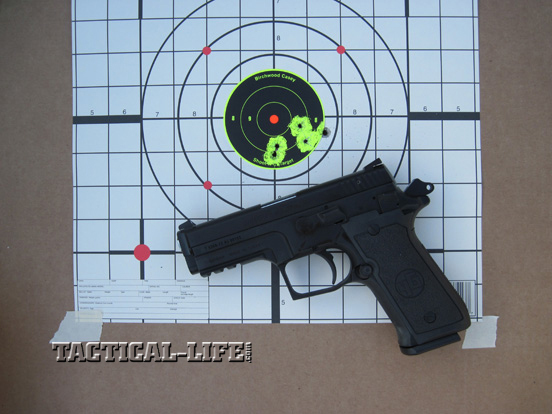 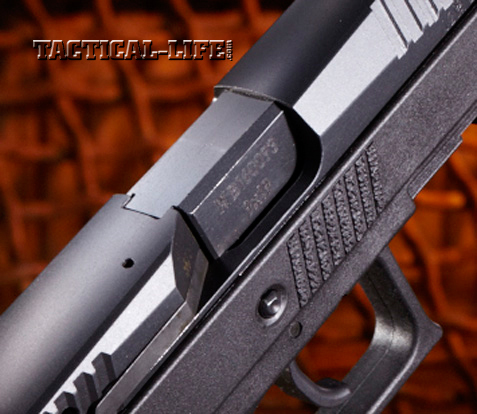 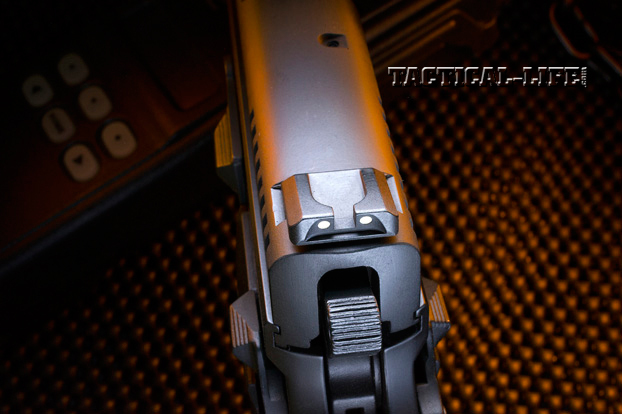 Read more on the Sig Sauer P226 TacPac HERE…. 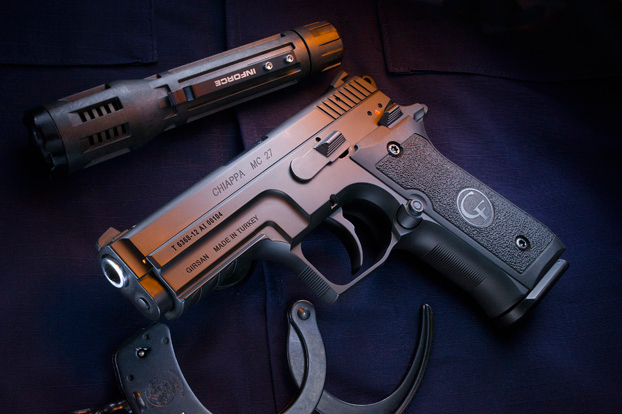 Intended for patrol use, CZ’s P-09 Duty has a 4.53-inch barrel, an overall length of 8.1 inches and a height of 5.79 inches. 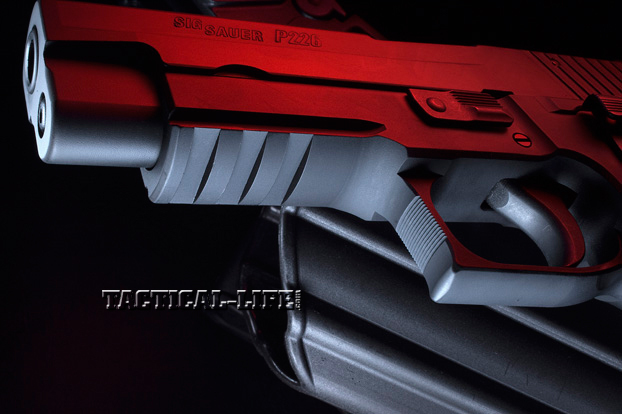 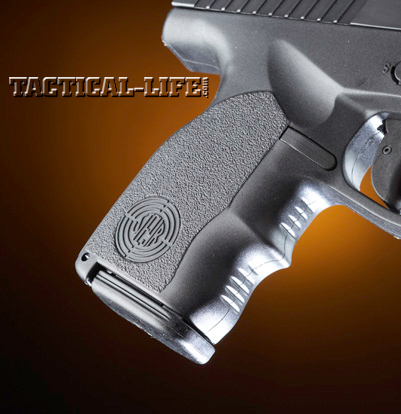 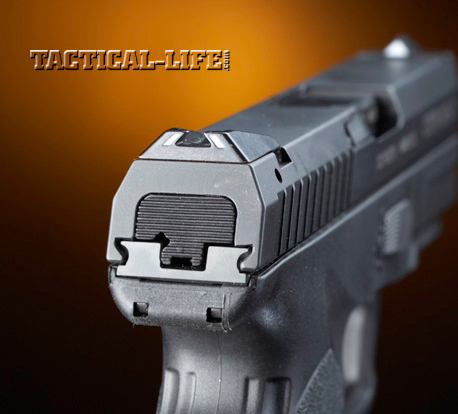 With its elongated grip frame, the P-09 Duty in 9mm accommodates a 19-round magazine. 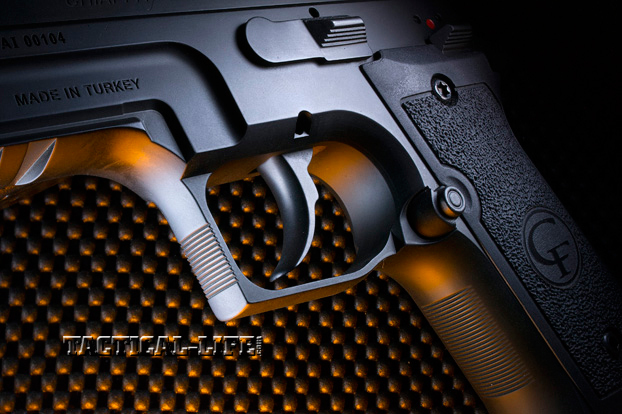 The P-09 Duty is a traditional double-action/single-action (DA/SA) pistol: It fires the first round in DA and then keeps the hammer cocked in SA mode for repeat shots. 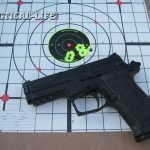 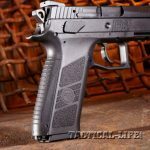 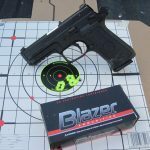 “The CZ P-09 Duty functioned admirably, pointed naturally, was easy to shoot and control and had a sharp sight picture,” wrote author William Bell. 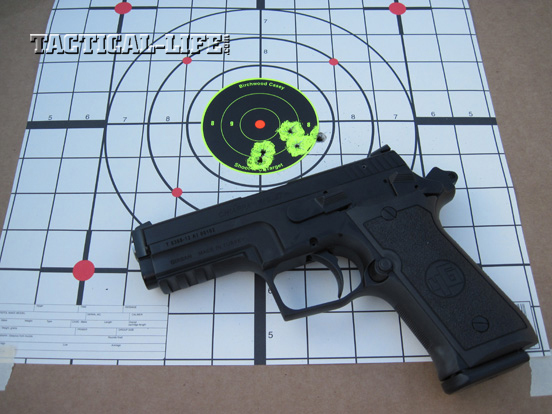 “Empty magazines dropped clear when the release was pressed, as they should, and the slide locked back after the last round, as it should.” In sum, the CZ P-09 Duty in 9mm is more than capable for any mission it’s given, be it sport, self-defense, security or law enforcement. 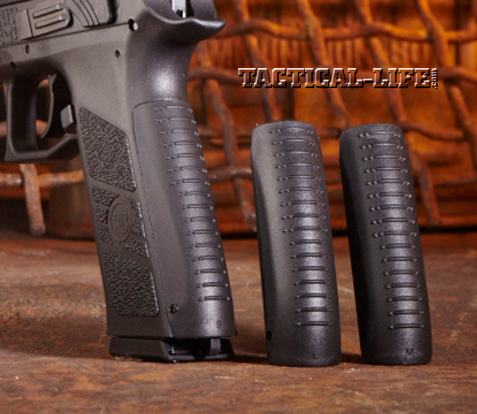 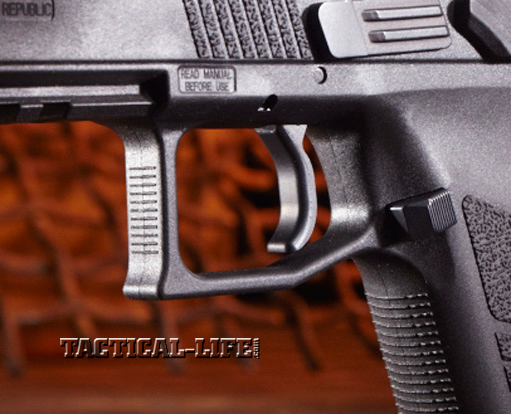 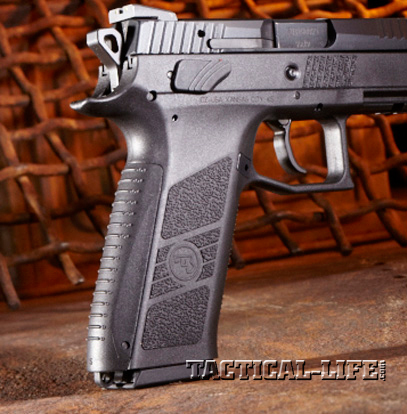 Read more on the CZ P-09 HERE…. 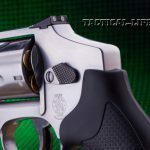 Chiappa’s MC27 is a DA/SA pistol with a thumb safety that acts as a hammer-locking device instead of a hammer drop. 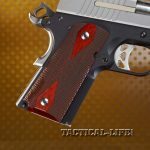 For those that like “cocked and locked” carry, this is welcome news. 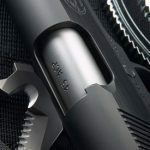 Its cold-hammer-forged, polygonal-rifled barrel is 3.8 inches long and has a nice feed ramp that will feed all types, styles and configurations of modern 9mm ammunition. 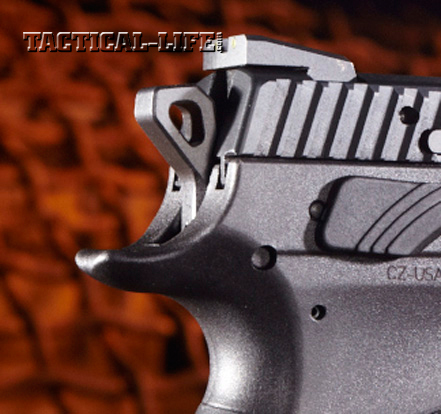 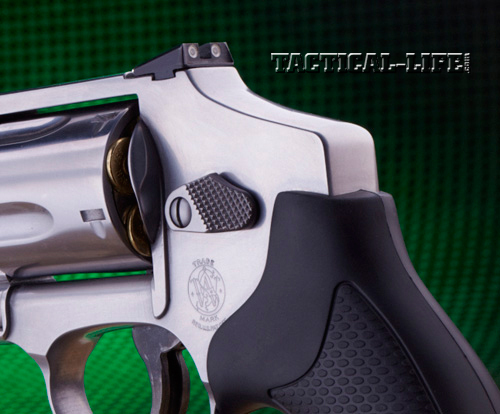 “The Chiappa MC27 proved to be very reliable and accurate,” observes author Dave Spaulding. 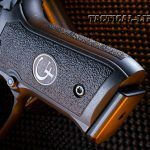 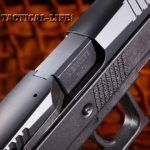 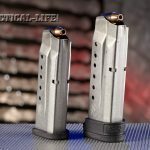 “After shooting 400 rounds of mixed ammo, I suffered only one malfunction on round two… after that, the gun ran without interruption.” The Chiappa MC27 is a great duty pistol that fits the hand well and is capable of some fine combative shooting. 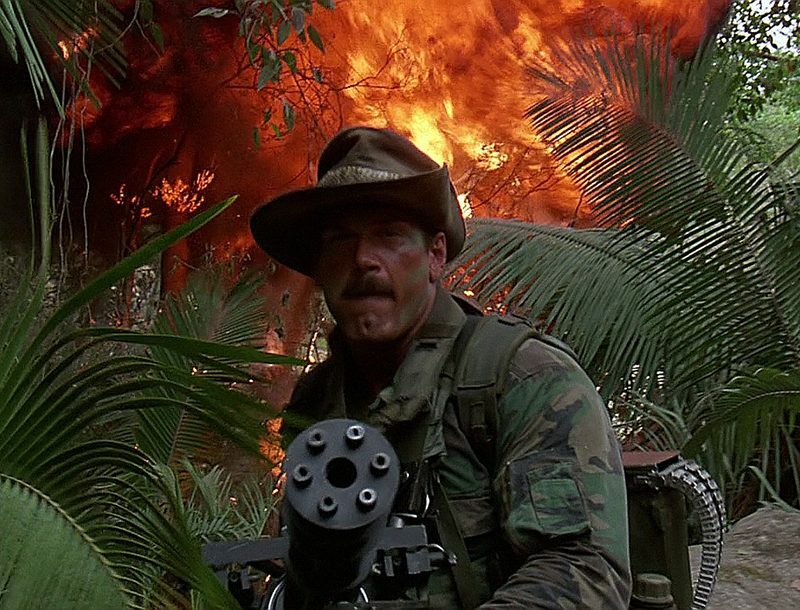 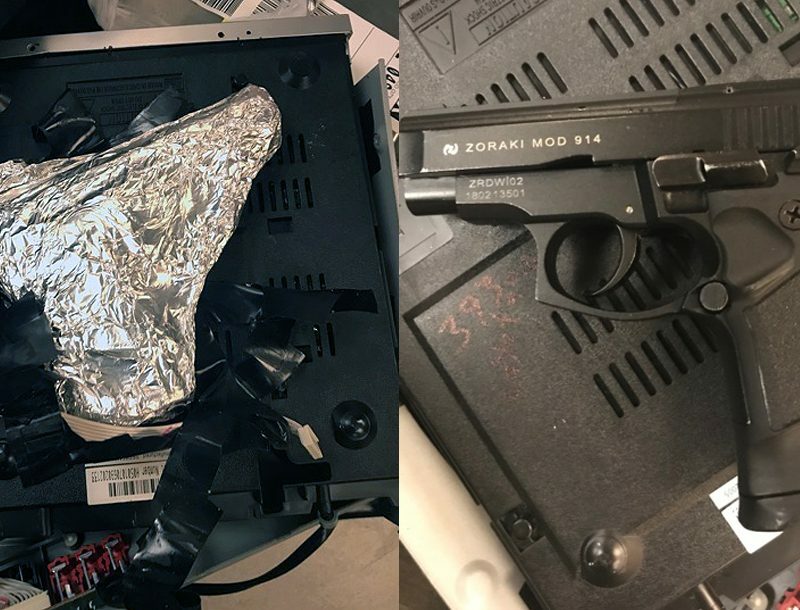 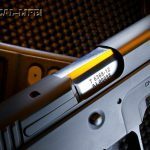 If DA/SA is your choice of duty-style pistol (or cocked and locked!) 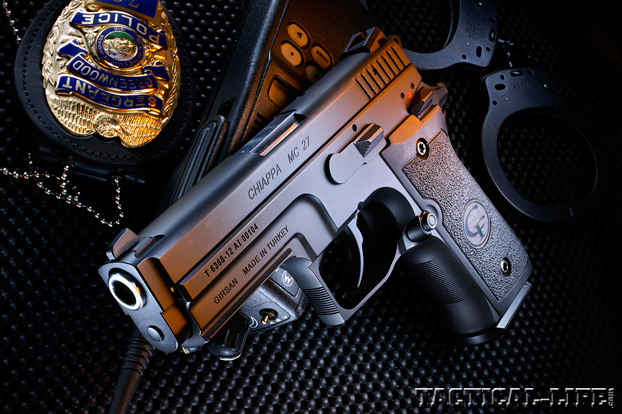 the MC27 has a lot to offer. 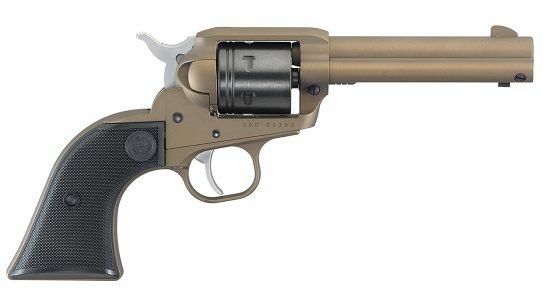 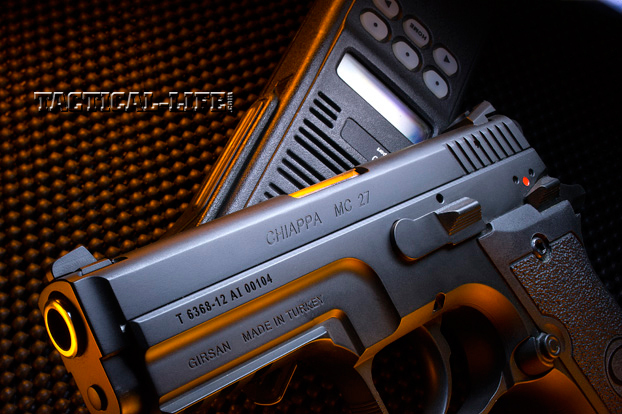 Read more on the Chiappa MC27 HERE…. 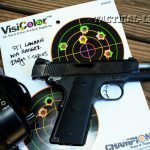 STI Lawman: stiguns.com or call 512-819-0656. 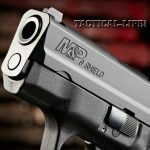 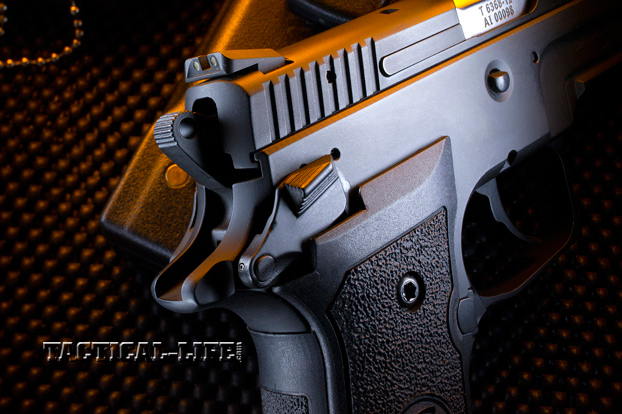 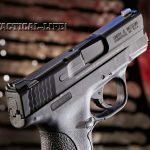 Smith & Wesson M&P Shield: smith-wesson.com or call 800-331-0852. 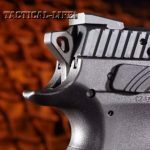 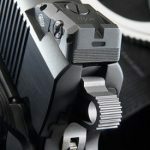 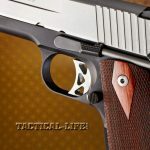 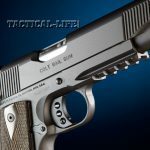 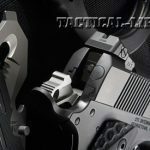 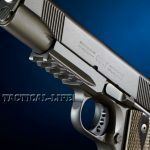 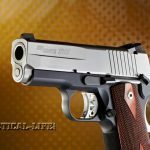 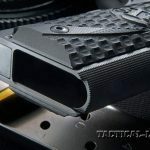 Colt Rail Gun 1911: coltsmfg.com or call 800-962-2658. 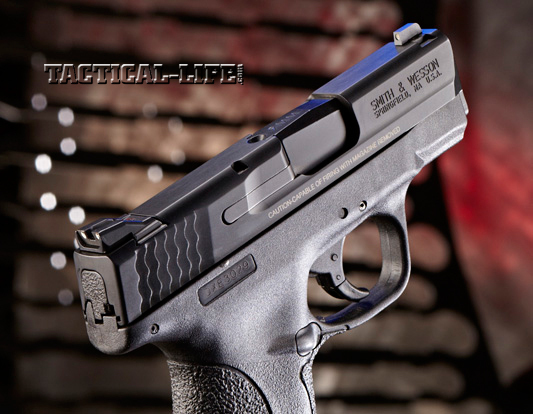 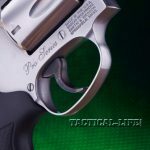 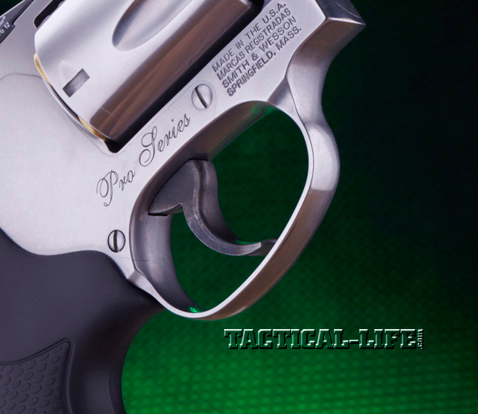 Smith & Wesson 640 Pro Series: smith-wesson.com or call 800-331-0852. 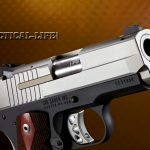 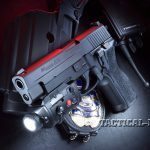 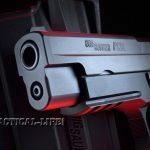 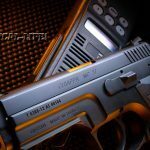 Sig Sauer 1911 Utra .45 ACP: sigsauer.com or call 603-772-2302. 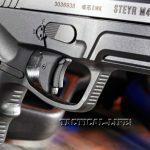 Steyr M40-A1: steyrarms.com or call 205-655-8299. 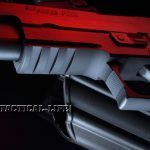 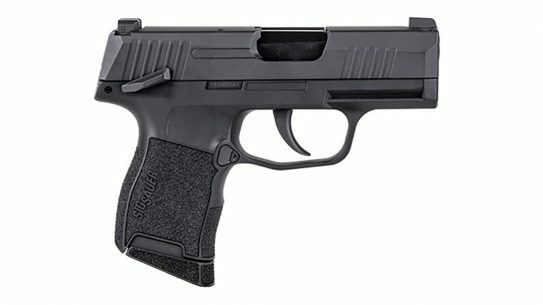 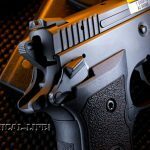 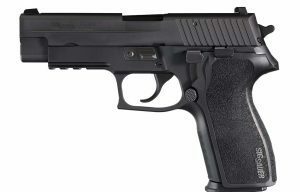 Sig Sauer P226 TacPac: sigsauer.com or call 603-772-2302. 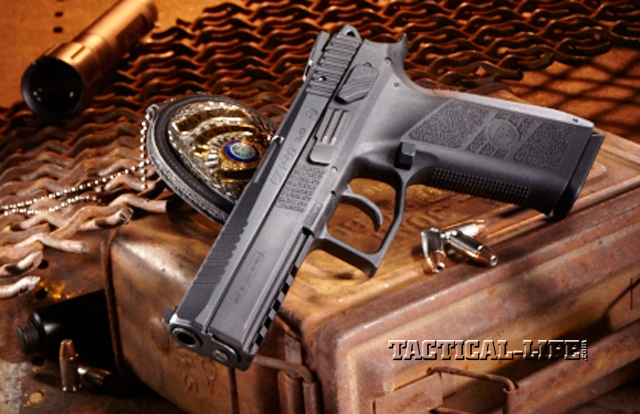 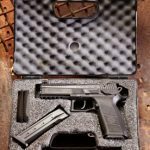 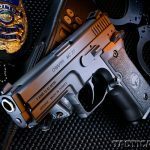 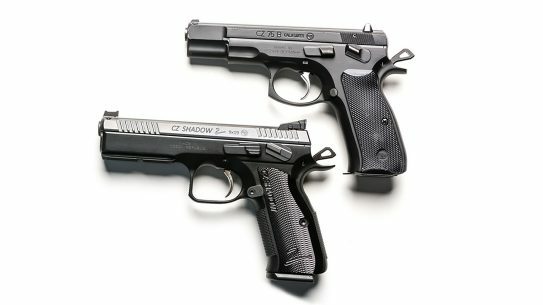 CZ P-09: cz-usa.com or call 800-955-4486.